This year a large number of MPs and representatives from the biggest players in hospitality, leisure parks and other tourist attractions joined forces in their attempt to convince chancellor George Osborne to reduce VAT on tourism. As it stands, Britain has one of the highest tourism VAT percentages in Europe, as a majority of the EU has chosen to reduce VAT on hotel stays and entrance fees to tourist attractions in order to encourage holidaymakers. The MPs and representatives of the tourism industry claim that the UK’s high VAT rate means that tourist sites lose customers to their cheaper competition abroad. The British Hospitality Association (BHA) have been particularly instrumental in promoting the ‘Cut Tourism VAT’ campaign. They outline their demands at www.bha.org.uk/campaigns/vat/ and provide evidence of support from authorities such as Dr Andrew Sentance, former member of the Bank of England Monetary Policy Committee. 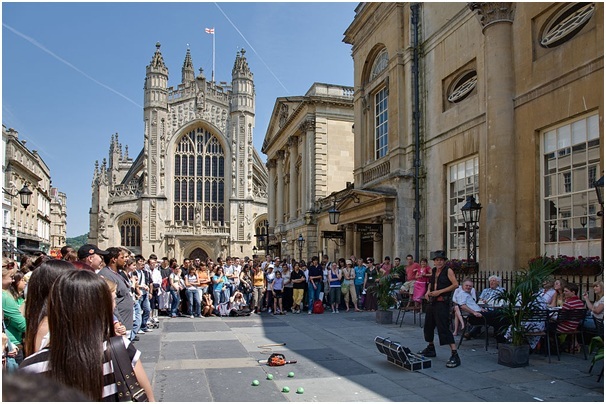 Sentance claims that reducing tourism VAT is a “highly effective” way of encouraging growth in the UK tourism market. The BHA claim that many businesses linked less directly to the tourism industry would feel the benefit from a VAT reduction. Take, for example, businesses that hire out or sell commercial warewashers from 247catering or similar. While at the moment commercial warewashers would be rented out at 20% VAT, with a tourism reduction they could be far more affordable for catering companies, leading to a boost for both the catering supplies company and catering business itself. At the Chairman of the Cut Tourism VAT campaign, Dermot King, who is also Managing Director of holiday giant Butlins, claimed that support for the campaign is steadily growing. He described how more and more MPs and experts are deciding that a reduction on VAT would benefit the British economy. For years the tourism and hospitality industry has been at the centre of the UK’s economy, creating as many as one in five jobs and helping the government reduce unemployment. For this reason, ensuring the continued popularity of tourism in the UK for both UK citizens and other nationalities is crucial. Equally, however, the Chancellor could well see the reduction of VAT income from such a large player in the UK economy as a gamble. One thing’s for sure, the debate in parliament is likely to become heated.